cHc was founded in 1961 to provide quality service to contractors and industrial clients in Central and Southern Ohio, Northern Kentucky, and Southeast Indiana. cHc is your single source for custom fabrication and installation of structural steel, industrial catwalks, miscellaneous metals, steel stairs, and ornamental iron. We have been providing the highest quality craftsmanship for over 55 years. cHc has operated on a foundation of quality, hard work, and honesty. These principles have been instilled in all employees since Roger Church and Harry Hoerr founded the company. Through these principles, cHc has established itself as Ohio’s leader in miscellaneous iron construction. 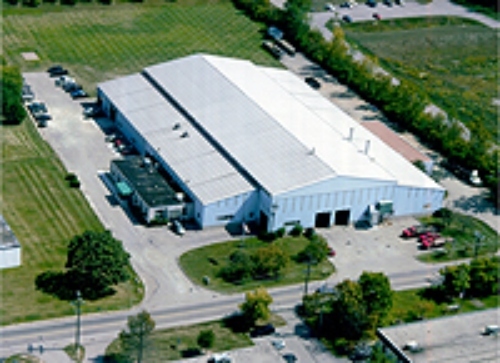 Today cHc operates in a 73,000 square foot facility. Still using those core values, cHc has field crews that service Central and Southwest Ohio, Northern Kentucky, and Southeast Indiana.